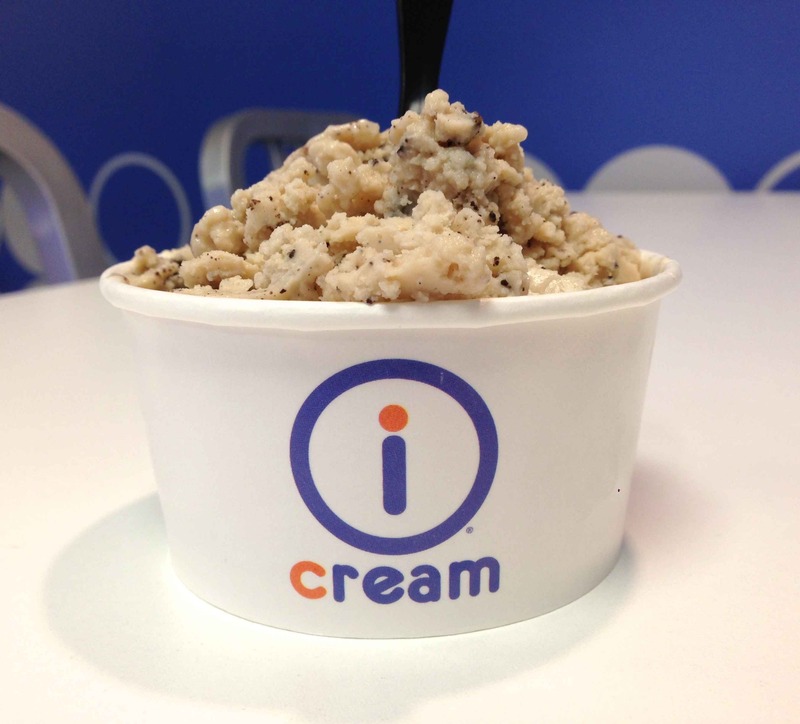 Since July is National Ice Cream Monthly, you’re obliged to eat ice cream for 31 days! I’m kidding, but it sure is tempting! 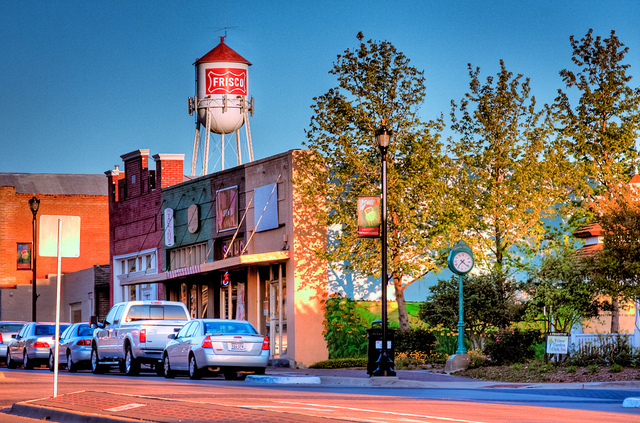 If you’ve lived in and/or visited Chicago, IL or Frisco, TX (25 minutes north of Dallas), then you’re in for a special treat because these two cities are home of the only two U.S. locations for iCream Cafe. A neighbor of mine actually recommended we try it, and as soon as I watched the video below explaining the awesome process of how they make their ice cream, I was sold! Since I’m a native Dallas resident, I didn’t have to travel very far! My sister Brittany and her husband Colby actually joined me on my quest for ice cream made with liquid nitrogen and smoke, as the thought of making ice cream from scratch, right in front of our eyes was too good to pass up! It was quite busy on a Friday night! 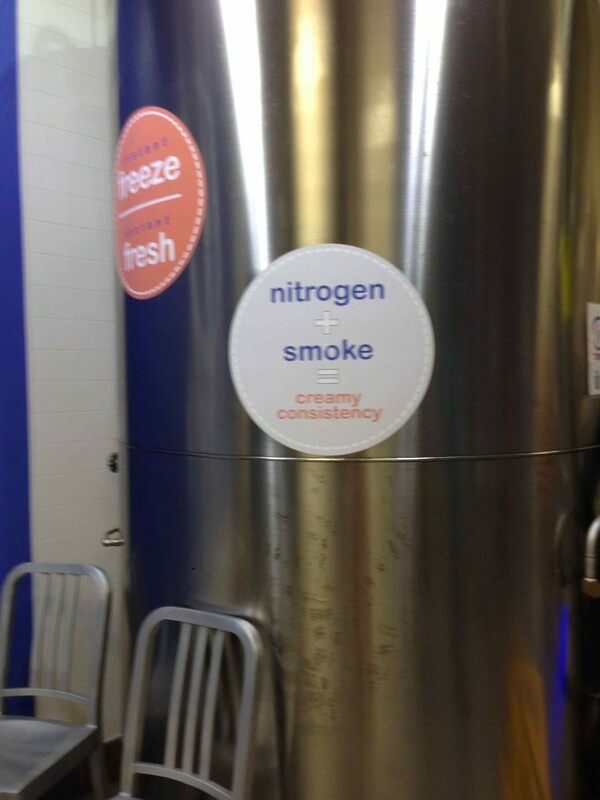 When you first walk in, you’re greeted by a huge silver cylinder labeled “nitrogen + smoke = creamy consistency” sign. Ice cream of the future if you ask me! Then you see all of the white mixers hooked up to some crazy silver contraption, containing the liquid nitrogen used to make ice cream in front of your very eyes! 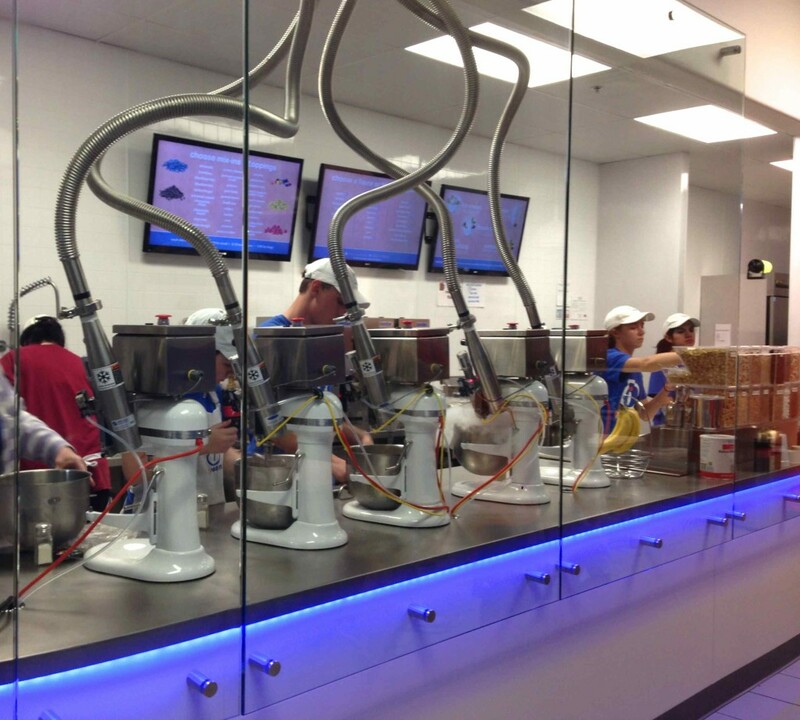 What’s cool about the entire process is that your frozen treat is made right there on the spot. The menu is just three easy steps, but for someone as indecisive as I am, it took me about 10 minutes to finally figure out the combination I wanted! Choose to make ice cream, yogurt, sorbet, a shake, or hot pudding. Select your dessert base: regular, light, organic, soy, regular, or non-fat. Pick one or (two flavors max), and then the fruit or candy mix-ins to add. So what did I choose???? 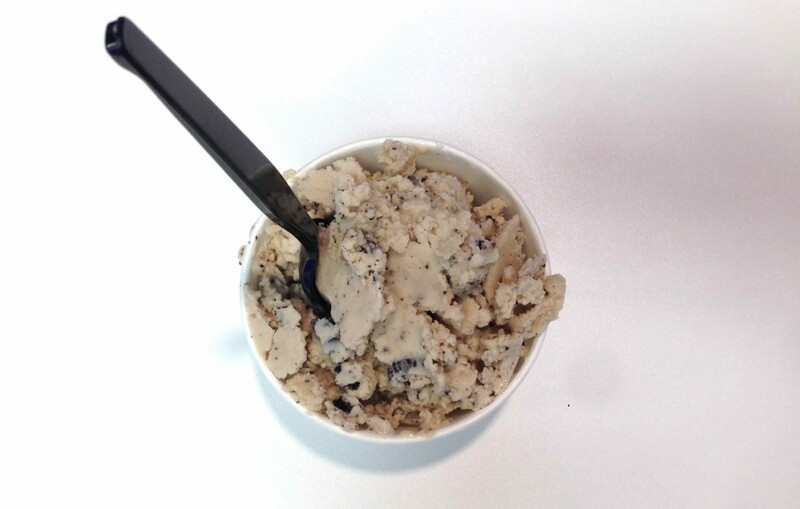 Well, if you know me, I HAD to choose Oreo’s as my topping…. it’s my favorite!! I was debating what else to add, but thought I’d keep it simple. Now for the base. I went with a “light” base (thought I’d save on some calories since I was ordering Oreos). The ice cream tasted pretty good. It had a different texture, probably because I got the “light” version. Colby got the “regular” base, and his was a bit creamier than mine. 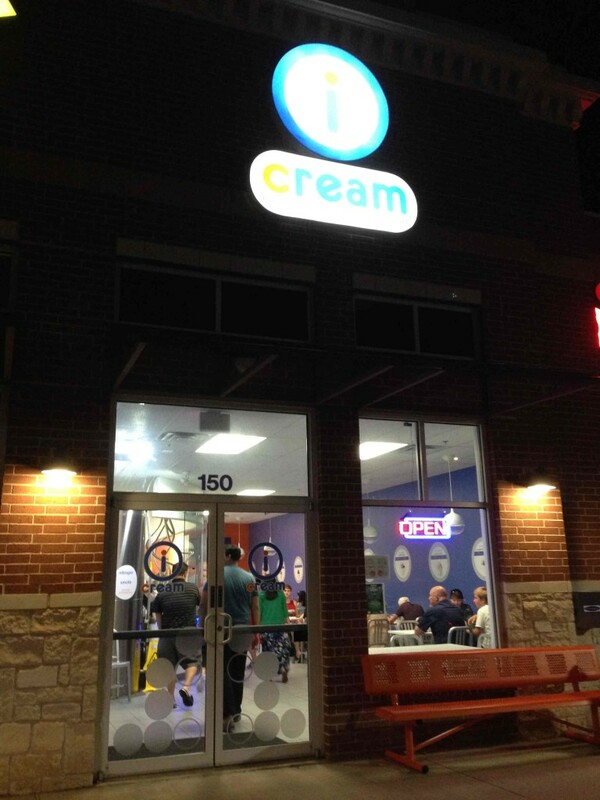 While I’d still say that Double Dip Frozen Custard and Paciugo Gelato are my two favorite places for frozen treats, iCream Cafe was a really unique ice cream store where your combinations are virtually unlimited! 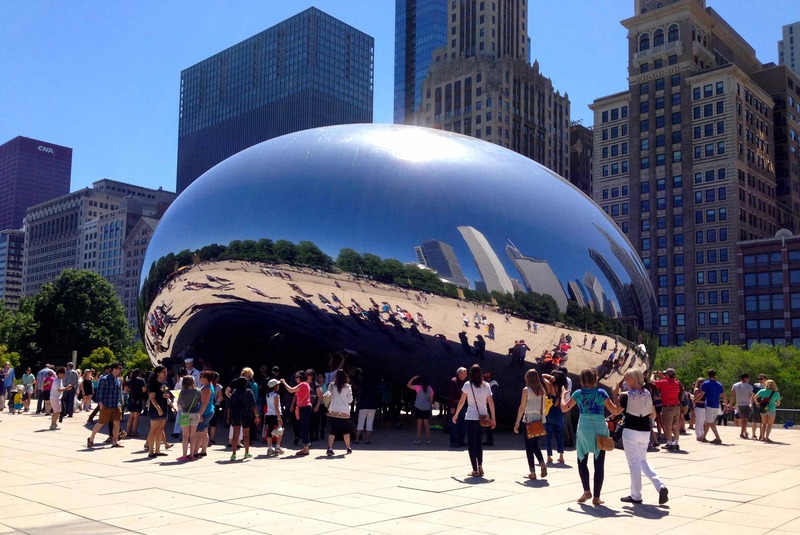 It was an awesome experience and atmosphere, and next time you’re in Chicago or in the Dallas area, go check it out. 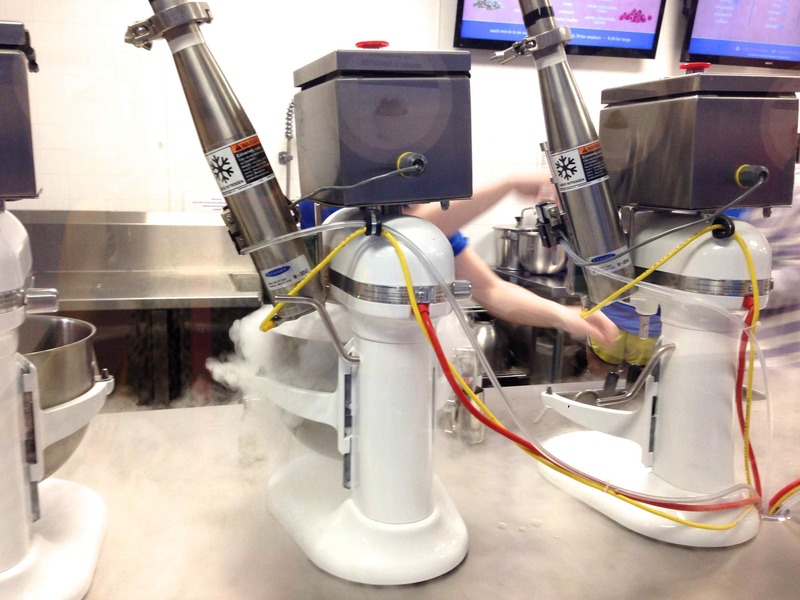 If not for ice cream, but for their crazy liquid nitrogen mixers!! !